Celebrating 30 years!! Do you and your kids enjoy the family fun of the UC Celebration? Would you like to meet some of your neighbors who are volunteering to make a 30 year UC summer tradition an even bigger success? Do you want to make a difference in our community? Then let’s create some memories and Celebrate together. Specifically, we are seeking a Volunteer Coordinator and a Beer (and wine) Barn Coordinator. 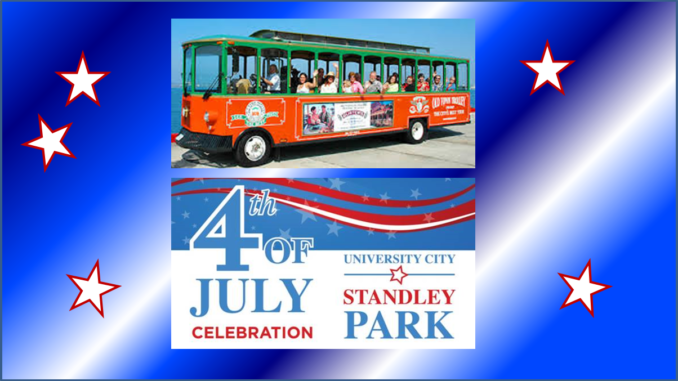 The next meeting for the UC 4th of July Celebration will be on Wednesday, April 3, from 7-8 PM at Standley Recreation Center, 3585 Governor Drive in University City. All are welcome.